Building a complete HO #6 double crossover was once a task left to only the most talented track builders. Not any more! Using our Double Crossover fixture any modeler can build a great looking, and great performing complete double crossover. In addition to being able to build both single, and double crossovers, this fixture can also be used to build HO #6 turnouts. A very versatile investment. 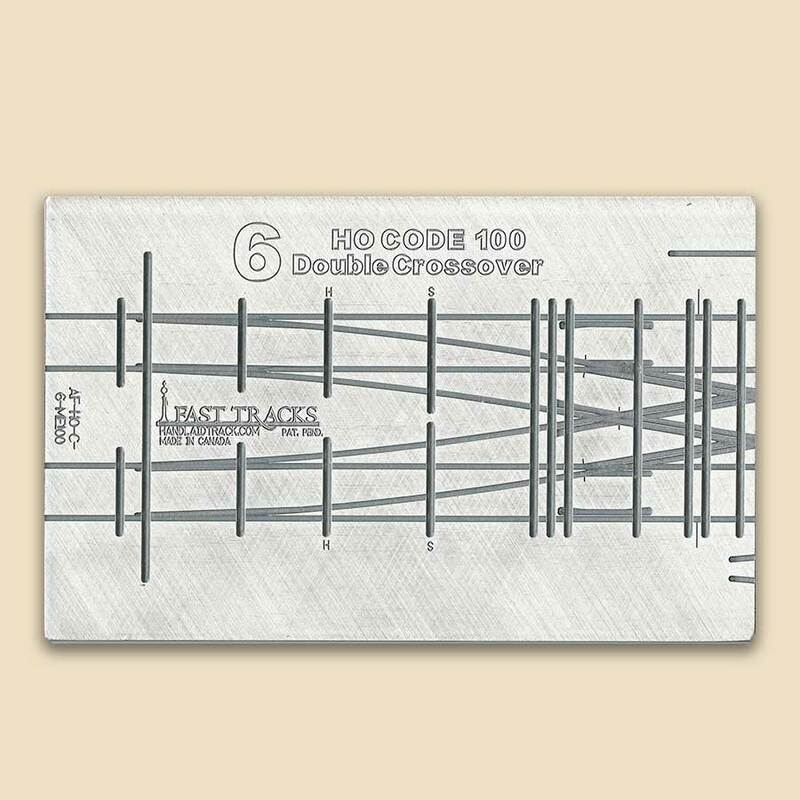 In addition to code 100 rail, you will also need to purchase matching 0.0625" (1.6mm), (7 scale inches) thick, HO CopperHead PC board ties for crossovers manufactured by Fast Tracks. Default Turnout Length 18.5" (469.9mm) This is the length of the turnout on the QuickSticks. Measured from end tie to end tie. 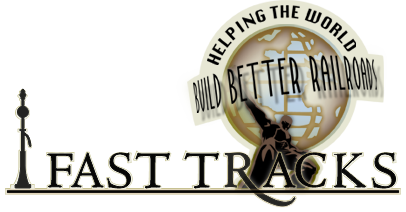 Minimum Turnout Length 17.1" (434.3mm) This is the shortest possible turnout length. Measured from the end PC board tie to end PC board tie. Diverging Route Radius 43" (1092mm) The minimum radius in a straight turnout. Secondary Frog Angle 19° The second frog angle for any switch that has two frogs.